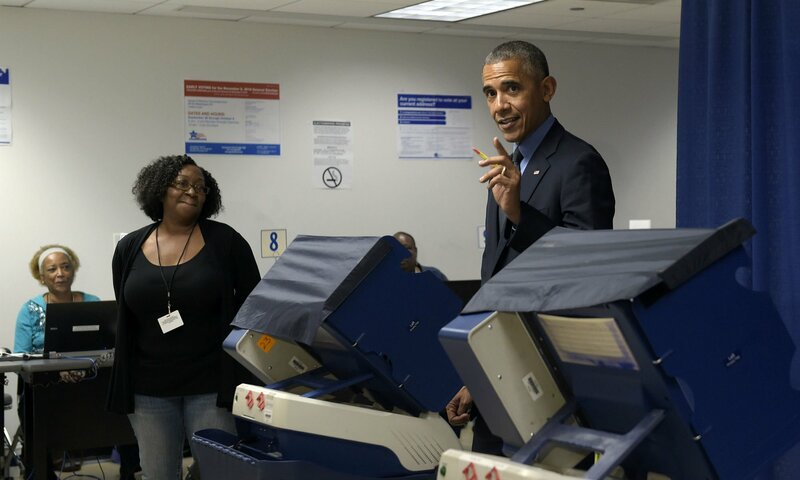 And it turns out voter fraud is a myth. US history has been a continual struggle between those who want to vote and those who want to deny people the right to vote. Since the Declaration of Independence, various groups of people have been excluded from voting — women, African Americans, Native Americans, poor white men, people of different religious backgrounds, immigrants, ex-convicts, and more. Following the passage of the Voting Rights Act, the right to vote finally seemed secure for all people. This legislation put safeguards in place to prevent the most egregious forms of disenfranchisement. The states most likely to exclude voters had to get approval from the Department of Justice before they could pass new voting ordinances — so a new form of Jim Crow laws seemed unlikely. But in 2013 the US Supreme Court essentially ruled that voter discrimination was no longer a problem and struck down parts of the Voting Rights Act. States could now enact whatever laws they wished around voting. Since then, a blizzard of voting restrictions has emerged in the US. It’s a problem that could keep millions of people from voting in the upcoming election. “I think that Republicans think that they’re going to have a partisan advantage if they put the restrictions in place, because they can knock out certain populations that can vote against them,” said Rabia Belt, an assistant professor at Stanford Law School who is an expert in US suffrage. Restrictive voting laws can take many forms: reducing periods for voting; requiring new, hard-to-obtain forms of IDs; ending same-day voter registration, pre-registration for 16- and 17-year-olds; ending out-of-precinct voting; and more. More generally, the restrictions target poor people who do not have the resources to buy IDs or travel to the required places to get verification to vote. Several of the most egregious laws have been overturned by federal judges. “There are politicians who may be opportunistic and have figured out that certain demographics in the electorate are not as likely to vote for them and perhaps have been attracted to voting restrictions that may reduce the turnout of those groups,” said Adam Gitlin, counsel for NYU Law School’s Brennan Center for Justice, which is a nonpartisan group dedicated to improving democracy. In a democracy you’d think that lawmakers would work to get as many people to vote as possible by making it easier. But since the Voting Rights Act was overturned, the opposite has happened in numerous states. Various restrictions will be in place during the 2016 presidential election, and in 14 states, voters will be greeted by new restrictions that may prevent them from voting. The restrictions range in severity and scope, but they all seek to curtail the eligibility of voters. In most cases, advocates for restrictions say that they are merely protecting against voter fraud — voting multiple times, assuming someone else’s identity to vote, or selling off a vote. It’s a potent rhetorical tactic that can undermine political opponents, but voter fraud has been shown to be a nonexistent problem. Arizona University conducted two studies of voter fraud in 2012 and 2016. The first study found 10 cases of voter impersonation fraud throughout the country from 2000-2012 — among billions of votes. The second study looked at states where there was purportedly a problem of voter fraud and found zero successful prosecutions between 2012 and 2016. States are also making it harder to vote through a series of informal and potentially more obstructive measures such as reducing the window for early and absentee voting and closing voting centers in particular areas. One impact from these new laws is a rise in absentee voting, but even this form of voting is coming under attack. As some states tighten voter eligibility, they're creating templates for other states to follow. Many of the tactics are striking in their arbitrariness. In Maricopa County, Arizona, 70% of voting centers were closed between 2012 and 2016. Most of the closures occurred in majority-Hispanic neighborhoods and the average location is now intended to serve 21,000 people. People (who, it goes without saying, having other obligations) can expect to wait in line for hours. In Sauk City, Nevada, the one place where a person can get a valid ID for voting is only open on the fifth Wednesday of each month from 8:15 am to 4:00 pm. There are only four such Wednesdays in 2016, and the hours conflict with many people’s work schedule. Nevada also passed a law making it a felony to collect and deliver another person’s ballot to a voting center. In the past, there was no such restriction on collecting and delivering ballots from other people. The measure mostly affects Latin American communities, which conduct ballot collection drives to help people who missed the deadline for mail-in-votes and are unable to make it to a voting center. 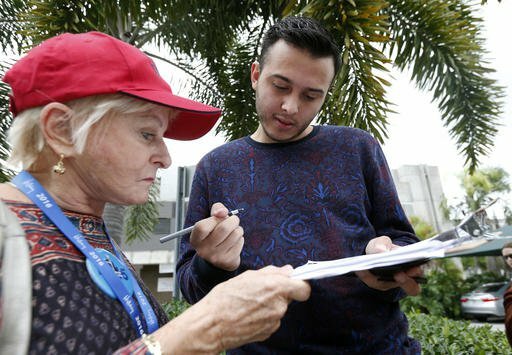 Many who hand their votes off to others are first time voters unfamiliar with the process. The drives also encourage people who are intimidated of voting in person because they don’t want to encounter discrimination. In Ohio, there has been an ongoing campaign to limit when people can vote. In the past, there was a “Golden Week” that allowed people to register and vote during a six day stretch leading up to election day, allowing people without cars to hop on a round-trip bus and complete their civic duty. That option is gone after a law was passed in 2014. The state also tried, and failed, to eliminate after-work hour voting and Sunday voting — two steps that would make it harder for people to vote. Changes in the law aren’t the only things making it hard to vote. Sometimes the fear of voter fraud drives vigilantism. Volunteer “poll watchers” often set themselves up at polling places and interrogate voters. It’s well-documented that these interrogations tend to discriminate against specific groups of voters. With Republican nominee for president Donald Trump calling on his followers to poll watch to prevent a “rigged election,” this is sure to be a big issue during the upcoming election. Belt said she once saw a poll watcher in Detroit who spotted a woman in line wearing a hijab and loudly questioned her legitimacy, demanding that her vote be challenged. Not only is this uncomfortable and demeaning, but it could discourage other people from voting to avoid such accusations. Most new voting restrictions revolve around the issue of a “valid ID” to prove someone is really a citizen and is really who they say they are. In many cases, previously allowed IDs are invalidated and it’s up to citizens to figure out how to obtain the right ID. Oftentimes, people are required to show numerous forms — original birth certificate, photo ID, pay stub, proof of residence, and more — to get a valid ID. More than 16 million people in the US don’t have a current government-issued ID. More than 600,000 eligible voters in Texas don’t have the ID they need to vote this year, and more than 300,000 people in both Nevada and North Carolina don’t have the right ID. In Texas, a recent law forbid people to use student IDs to vote, but allowed firearm licenses. This measure was struck down by the courts. Counties are also actively disenfranchising hundreds of thousands of people by purging them from voter rolls if they haven’t voted in recent elections. These campaigns disproportionately affect minorities and most of the people being purged will not know they have been purged until they show up to vote on Election Day and may not know that they can still cast a provisional ballot. Then there are the structural problems that inherently depress voter turnout of particular groups. Belt noted that veterans and people with disabilities need special accommodations for voting because they may have trouble waiting in line, concentrating on hard-to-follow voting forms, and using a pen or pencil. All too often, no accommodations are made and such voters reluctantly stay home, their voice stifled. More broadly, limiting voting to specific days and places and setting the deadline for voter registration way before an election takes place keep many, many people from casting a ballot. Some states throughout the country, however, are trying to make it easier for people to vote. In California, people are not bound to a single voting location. Wisconsin, Minnesota, and South Dakota have the broadest early voting period. Oregon, meanwhile, automatically registers people to vote once they turn 18. Many of these measures could be enacted on a federal level, which would truly revolutionize voter turnout. In fact, looked at from another angle, the country could be moving toward greater voter security, and this brief spasm of restrictions could be wiped out by the courts. For a full list of voter restrictions, check out the easy infographics from the Brennan Center for Justice.